Guangdong Swin Industrial Co., Ltd always fulfill social responsibility of controlling the waste water and other industrial areas in strict accordance with national standards of waste treatment discharge. The company employs at least two disabilities each year and there are more than five people with disabilities in jobs, it provides an opportunity for people with disability to get the job. Swin company participate in the various welfare activities which organized by Beijiao government. Such as annual donations and afforestation activities. For the earthquakes happened in Wenchuan, Yushu, Ya’an and Ludian, the leaders of Swin company also organized the donation event and contributed the goods and money to the disaster through Red Cross of Shunde. The company also sets up a charitable foundation for the staffs. The company provides at least 5000 yuan per year to the foundation for the employees and their families which need funding. Swin company participates in the Chachong community activities actively and contribute to a community cultural development. Swin company will adhere to uphold social responsibility in the future and create more benefits to the company and society. 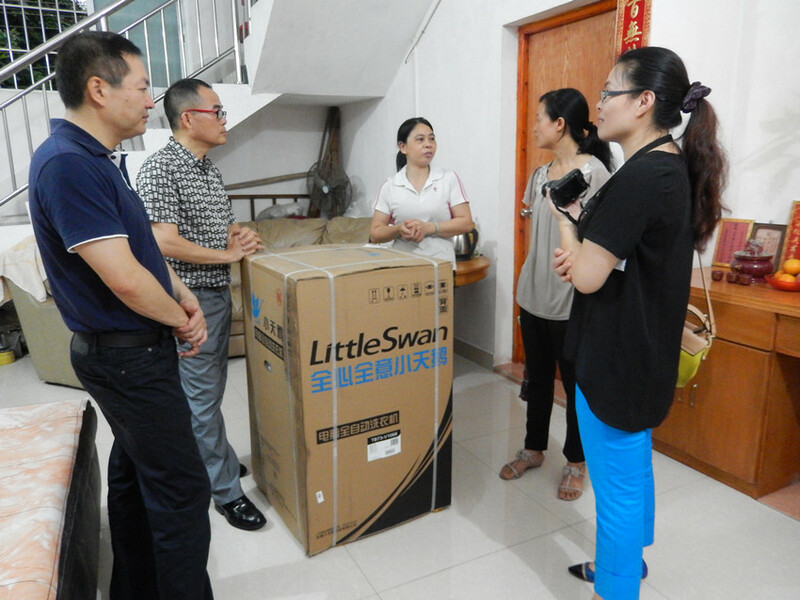 On 16th, April, 2014, Guangdong Swin Industrial Co., Ltd held an event named Love Gathered Warmth · Visiting the needy with Beijiao Enterprise Service Center. The purpose of this event was to foster love and contribute to the community. Apart from that, it let the staffs know the situation of the needy. The employees of Swin company also sent the necessities rice and cooking oil. The staffs encouraged them overcame the difficulties and the life in the future would be more beautiful. After taking photo with all the people, the staffs carried the supplies to other condolences home. The leader of Swin company interviewed by the media ever said that our company would participate in the similar helping activities every year to promote the spirit of charity. Charity as one of the important fairs of company operation, now there are already a number of projects underway. What’s more, the association will be planning more charitable projects for the needy. In the afternoon on 3th, June, 2014, the chairman of Guangdong Swin Industrial Co., Ltd, Mr, Luo Guohui attended the event call Beijiao Young Entrepreneurs Charity Association . The opening ceremony was held in the business service center on the fifth floor. The deputy mayor of Beijiao, Ms. Li Shaoling and other government leaders were also attended the opening ceremony. 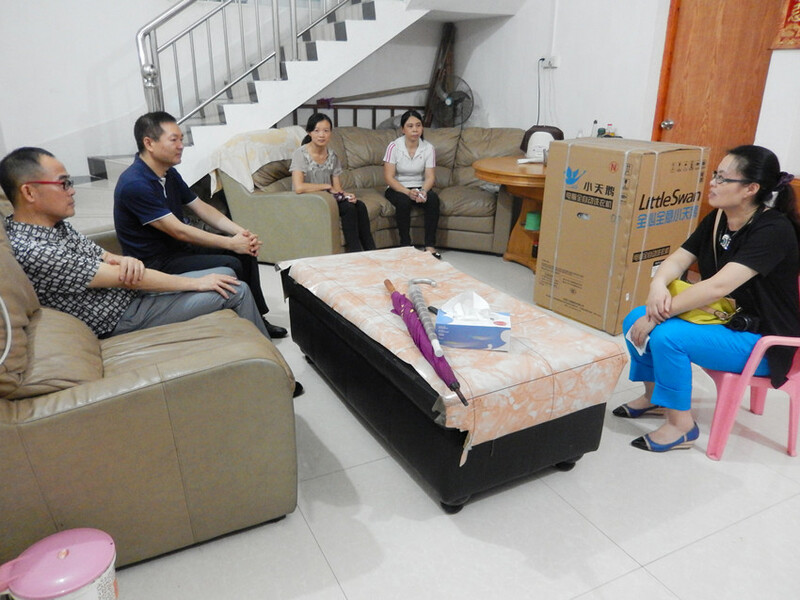 Beijiao Young Entrepreneurs Charity Association was set up by Beijiao Charitable Foundation members. Guangdong Swin Industrial Co., Ltd was one of the members. The funds of Beijiao Young Entrepreneurs Charity Association would use for the needy in Beijiao. Through this association, the entrepreneurs help the needy people solved the problems in daily life. 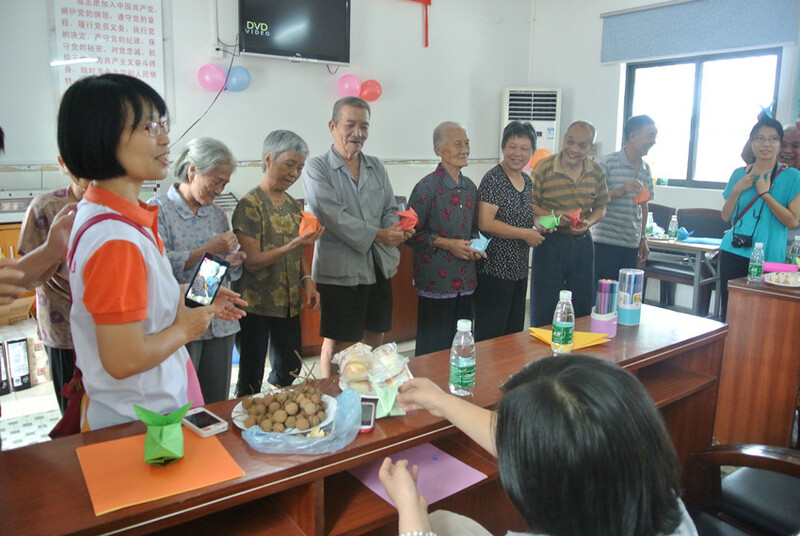 After the opening ceremony and the Mother’s Day was coming, the members of Beijiao Young Entrepreneurs Charity Association went to other communities to see the single mothers. In the meantime, the entrepreneurs also sent the good to single mothers wanted. Such as cookers, bicycles, washing machines and refrigerators, etc. In this event, the members totally sent the presents to ten mothers.